Start a new Lincoln question. Are the motor parts for a 1995 Lincoln Town Car Executive Series and a 2005 Lincoln Town Car Signature interchangeable? Lincoln has provided luxury-level vehicles for the Ford Motor Company since 1922, when Edsel Ford persuaded dad Henry to acquire it. It had all started in 1917 when Lincoln founder Henry Leland quit his post as president of Cadillac (which he'd co-founded) after that manufacturer's owners resisted a shift to make military aircraft for use in World War I. Many a U.S. president has been chauffered around in stately Lincoln products. Successful models throughout the maker's history ran from the beautiful Zephyrs early on to the long and luxurious Continental, with its signature spare tire mounted on the back. 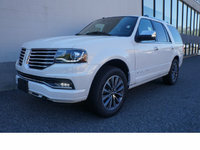 Lincoln has made its mark in recent decades with the retiree's favorite, the Town Car, and even more recently with the Navigator SUV. The super-sized ute is immensely popular with everyone from pro athletes to well-to-do families (especially those with more than the average 2.4 children) to rap stars. 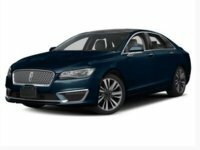 After a recent setback in sales numbers, Lincoln has moved to a sleeker, letter-based naming scheme for all models except the previously mentioned two. 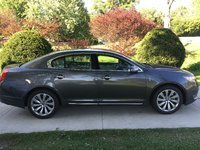 This lettered lineup consists of the LT pickup, the sporty MKZ sedan, the luxurious MKS sedan, and the MKX crossover, a 2007 debut and the company's first CUV. 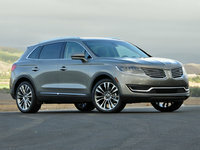 With such a well-rounded family of vehicles, Lincoln should continue to do well for years to come.